Traveling is always a good way to spend your money. But there are a lot of things to consider before choosing the right destination for your travel. The most important thing is budget. Money will be a very important factor in your trip. When you travel, you are expected to spend money for the fares, the services, and the food and so on. With the current state of the dollar today, it is most important to choose destinations that will fit right within your budget but at the same time, enjoy a very good vacation as well. Trips especially those with international destinations do not always have to be expensive. Sure there are places that are more costly than the rest but you can always choose a cheaper destination but still have a great time. There are a lot of places in the world that you can travel with a tight budget. In these places, your dollars will still go far and there are a lot of things that you can do with your money. If you want cheap places to travel abroad, a group of countries that you can consider are those in South East Asia. The countries in this area offer great culture and commodities are cheap. You are given a variety of choices from local gourmet and western influence too. One country on the list is Vietnam. Vietnam is a great cultural country which is gaining more popularity to western tourists by the year. Although generally underdeveloped, Vietnam offers the cheapest accommodations, food and transportation. The local markets also offer unique handcrafted items that you can bring home to your friends. Ho Chi Minh is a popular city in Vietnam where urbanization sets in. There are also great panoramic islands and beaches in Vietnam. Ha Long Bay is a very nice tourist spot which is now a UNESCO World Heritage Site as well. You can also go caving at Ha Long Bay and visit the Marble Mountains. With all these great places, the best part of it is the fact that you do not have to spend a lot! Transportation is cheap so you can easily go around. If you are the adventurous type, you can test out the local delicacies on the streets and get a meal for a very cheap price. Cambodia is another country in South East Asia that is definitely worth visiting. If you want a decent room with a clean bathroom, you can easily get it in less than 5 dollars. Traveling around the country will not cost you much too. One positive thing about traveling to Cambodia is the currency. The country is actually using the US dollar too. But even if you are traveling with the same currency, a dollar in Cambodia can get you a long way. There are a lot of things that you can buy in Cambodia that are extremely cheap. And you do not have to worry about having your cash converted and the conversion rates for the day. There are a lot of tourists visiting the country every year making tourism the country’s second driver in their economy. The most popular tourist spot in Cambodia is the Angkor Wat. The Angkor Wat is also one of the World Heritage Sites and is known for its unique and interesting architecture. Aside from Angkor Wat, you can also visit Sihanoukville which offer great beaches and resorts. Another great country to travel to in South East Asia is the Philippines. This country offers a diversity of culture and tradition. The Philippines is a cheap country as well and the cost of living is fairly low. Retirees even choose the Philippines for them to stay. The people in the Philippines called Filipinos are very welcoming and friendly. The currency used is the Philippine Peso. You can get a decent meal for as low as 2 dollars which is already a very good deal. Transportation is also cheap. You can easily book flights to any of the thousands of islands in the Philippines. Most of the people there are used to Americans and Western travelers. Almost everyone can speak English too. The most popular tourist spots in the country are the beaches. This archipelago offers thousands of miles of white sand beaches where you and your family can relax and unwind. You just have to be careful since some of the people there might take advantage of westerners and change the price for tourists. If you are looking for Cheap Places to travel outside the US but don’t want to go too far away, you can choose to travel in the nearby Central America. Most of the countries in Central America offer cheap accommodations. These countries also have a low cost of living and are a perfect choice for retirees and expats. Aside from being cheap, these countries also offer wonderful tourist spots. Since their cities are not yet very well developed, you will be drawn to the spots outside the urban area. The beaches in Central America are great and some historic sites can be found in Guatemala too. These countries are generally peaceful and the people are very warm and friendly. Central American countries also have great weather which is perfect for traveling and moving around from place to place. There are a lot of adventurous things that a tourist can do there too like diving, rainforest trekking, mountain climbing and volcano watching. If you want to go to Europe, the best way to find cheap places to travel there is to go east. The farther you go, the cheaper it will get. Places like Budapest and Prague are wonderful places to visit because of the historical feel and the old world charm that these places possess. Compared to other European areas, Eastern Europe will be the best for medium budget travelers. Although more expensive compared to South East Asia, these places are great places to visit if you want to go to Europe. When you have chosen places to visit, it is important to know how much a dollar is worth to the country’s currency. Retirees should choose carefully the places they want to live for the rest of their lives. After all those years working and saving up for a good retirement, it is always important to choose a place where you could live a good life. You do not want your savings to go to waste just by choosing a city that does not provide you with the necessary commodities that you need. But choosing a good and cheap place to retire in the United States is not a simple task. With the ongoing recession and a drop in the economy, this task is even more difficult than ever. Although housing prices are dropping in most areas of the country, this should not be the only determining factor when it comes to the place where you want to retire. It is always important to consider some other factors like the economy, income tax rates, infrastructure, healthcare, safety, security and potential retirement job opportunities. As people work, they stash an amount for their retirement in the future. But the reality is most Americans are actually behind on the retirement savings that they had. And people lost a lot of savings because of the economy today. The reality is, the dollars that you have saved for years will not be able to stretch that far enough today. Choosing a good and affordable place to stay is a perfect way to make the most out of your retirement savings. If a retiree does this, he can get a place for a lesser amount, pay lesser taxes, and eventually spare some extra dollars for some future use. There are a lot of cheap places to retire in the United States. In each of these specified places, there are pros and cons. Retirees and soon – to – be retirees should take all these positive and negative points into consideration. The first places that you should consider are college towns. College towns are great since the economy is centered on education. Colleges provide a very stable economy to the city since education is practically immune from recession. An example of a college town is Gainesville, Florida where University of Florida is situated. A good reason why a retiree should consider Gainesville is the fact that the community has an employment program for senior citizens where they are allowed to work part time in the local industries like health care, retain and even in the university. Gainesville, Florida also boasts about the University of Florida Health Science Center which is able to provide topnotch medical care to residents. Health care should always be an aspect that retirees should not miss. Although the cost of living in Gainesville is more or less similar to that of the national average, housing prices are fairly low and you get more than what you pay for. Another great reason why college towns are great for retirees is the fact that retirees and seniors get special benefits in these places. When it comes to arts and entertainment, college towns can showcase a lot of wonderful shows and programs and seniors can enjoy a special discount for the show’s tickets. Some of the shows are even offered for free. Rogers in Arkansas is also a great choice where University of Arkansas is located. A lot of retirement houses are in the area and prices are affordable because of the presence of the university. The retirement houses are in close proximity to recreational activities as well, making sure that the retirees and seniors are keeping themselves busy. The economy is supported by the university itself and a nationwide company as well. According to studies, college towns are the areas that are most likely to bounce back easily during recession. That is one very attractive quality that retirees and soon – to – be retirees should take note. Ithaca in New York has been known to be one of the most affordable cities in the country. There are a lot of good houses that retirees can purchase at a very cheap price. Ithaca is also where Cornell University and Ithaca College is located. Presence of colleges in the city is always a good sign and may attract potential retirees to choose the place. Ithaca can also boast of their statistics to unemployment which is actually almost two percent below the national average. The arts and music scenes in Ithaca are wonderful and they have a downtown mall that houses bookstores and a cinema. Aside from the drive to the economy by the schools in the area, manufacturing companies and high-tech jobs help the economy as well. Seniors and retires will also love the breathtaking view that Ithaca provides with the hills as the backdrop. Orlando, Florida is also a cheap place to retire here in the United States. If you compare Orlando to other cities, home values in this city are much steadier. Florida also lacks income tax which is a perfect perk for retirees since this will allow their retirement savings to extend a little more. The driving factors for Orlando’s economy are the convention centers, theme parks, and a few film and television companies. Orlando, Florida is also where Florida Hospital is relocated. This is good news since seniors and retirees do not have to travel to other cities just to get quality health care. Florida Hospital has been dubbed one of the best in the country and is the city’s biggest non- profit hospital. Pittsburgh in Pennsylvania is one of the cheap places to retire in the country. Pittsburgh is a wonderful place to retire to since the economy is not as bad in this city compared to other areas in the country. It hosts seven Fortune 500 companies. Compared to the national average for cost of living, Pittsburgh is five percent lower. This city also has a low crime rate and has around 20 great hospitals and schools. These are only some of the places in the country where retirees can choose to live during their retirement. It is always important to consider all factors and make sure that you will be enjoying in whatever place that you pick. There are also plenty of places with a low cost of living in the great state of Texas. As long as you can stand the heat during the hot summers. You can find affordable retirement homes, retirement communities and assisted living facilities in San Antonio, Waco, El Paso, and Mcallen. Home prices tend to be a little bit lower and since many of the jobs are dependent on the oil and gas industry there is plenty of work if you want to start a second career. Home prices are low. You can find hundreds of 3 bedroom 2 bath single family houses around San Antonio for around $100,000. There is no state income tax as well in Texas. Another plus. If you find yourself on limited retirement savings you can still find an affordable retirement destination. You can start with these ideas of cheap places to retire in the United States and begin your search for your retirement dream home. There are a lot of good cheap places to visit during your vacation as a possible future retirement destination. Whether you want to stay within the country or go abroad, you can always take some days off work and relax. But with the state of the economy today, it is always good to choose places where travelling will be cheap and inexpensive. There are cheap places to visit specially outside the country. Why go international? Well, even though the US dollar is struggling to get back up, other countries still have lower costs of living compared to the US. Places where the cost of living is low are great since tourists will be able to enjoy accommodations, rentals, food and transportation at a cheaper rate. If you just take a little time to do some research and calculate your budget, you will definitely be able to see the perfect cheap place for you and your family to visit for a vacation. A nice cheap place to visit is Honduras. Even if you plan to stay for a couple of weeks, you will not have to spend as much. Tegucigalpa is the capital of Honduras and is a great place to stay. There are a lot of decent and wonderful hotels in the area where you can pay less than 20 dollars for a room. The nice thing about Honduras is the tourist spots. There is a place in Honduras called Parque de la Concordia where you will be able to see replicas of Mayan temples but are much smaller in size. There are also other great parks in the area where you can walk around, unwind and be lazy for the afternoon. There are a lot of taxis in the area that are affordable so you won’t have a problem going around. A good traveler’s tip is to negotiate with the driver on the rate before going on the trip. You can also visit Boulevard Morazan where all the high end brands and shops are located. You can always opt not to buy from these shops since they are quite expensive but the area is definitely worth visiting due to its architecture, old buildings and churches. There are also a lot of varieties in food in Honduras and they come in very reasonable prices. If you wish to stay closer to the US, you can go visit British Columbia in Canada. Vancouver is one of the cheap places to visit for vacations. The cost of life in Vancouver is generally cheaper than that of other cities in the US and accommodations in the area can go as low as $43 dollars a night. Vancouver has been ranked high in the recent list of world’s leading cities so if you opt to go for a more urban experience, then Vancouver is the place for you. Compared to other places where you would have to pay a lot to enjoy activities during the day, Vancouver can offer places to visit for free. You can walk along the Seawall Promenade which gives the tourist a wonderful and breath taking view of the mountains, the ocean, and the city at the same time. You can go visit small villages and towns in the outskirts and check out lakes and valleys. You can also go skiing at Whistler Mountain if that interests you. The downtown area of the city is where you get to experience the amazing entertainment that the city has to offer. Comedy shows, jazz shows, dance recitals and clubs are situated there. Food is also reasonably priced in Vancouver and with a wide variety of international and local cuisine, you always get what you have paid for. Costa Rica is also a great place to visit where travelling is cheap. Costa Rica and other countries in Central America offer great deals on accommodations and travel. And this is why many Americans choose to take a permanent vacation here and retire. Just like Honduras, Costa Rica also offers great beaches where tourists can unwind and relax all day. A good thing about travelling to Costa Rica is the fact that the country is fairly small that you can go around it in a couple of weeks. The country has a very effective bus scheme that will take you to places but won’t take much of your budget. Accommodations in Costa Rica are cheap and you can easily get a decent room from a reputable hotel at 15 dollars a night. Students who are travelling often choose hostels and pay 7 dollars average a night. You can go and visit the rainforests and swim in the beach for free too. Costa Rica’s culture is also very rich and fiestas are known throughout the country. Food is exceptionally cheap and very tasty. If you love the arts, history and architecture, then a good place to travel cheap is Dubrovnik in Croatia. Dubrovnik is a part of the United Nations Educational, Scientific and Cultural Organization (UNESCO) Heritage List. This means that there are a lot of wonderful stories about the places in the area. Accommodations are cheap and a decent room would charge around 11 dollars a night. Most of the sites in the area are historic buildings that have been bombed in the early 1900s. But these have been carefully restored and preserved for the people to see and enjoy. Walking around the place will give you the feel of an old world charm. Croatia also offers wonderful beaches to relax and you can do water sports for a change. If you want to spend a little more extra, you can go scuba diving and watch ship wrecks around the seas of Croatia. When it comes to food, Croatia offers great fresh delights that will surely captivate your senses. Food is also affordable since most of the ingredients are grown locally. The best time to visit Dubrovnik is from July to August where they celebrate the Dubrovnik Summer Festival. When choosing cheap places to visit for vacation abroad, it is important to check whether or not the place will match the kind of vacation that you wish to have. You don’t want to go somewhere snowing when you want a warmer weather. Always take care of your belongings and don’t forget to haggle when shopping. There are plenty of cheap retirement places outside of the United States. If you are a person who would love to retire at a totally different place from what you are used to, then you can always opt to go abroad. Going international has its own pros and cons. You have to remember that this is a retirement home that we are talking about and not just a trip. You will probably stay there for the rest of your life and spend every morning waking up to that place. So it is very important to do research before transferring to a whole new area. Retirees actually have the choice of staying within the country and going abroad. There are also a lot of great affordable places to live in the United States like college towns. But if you want to extend your retirement savings and go for somewhere really cheap, then going abroad is the right thing for you to do. If you want to stay closer to the US and your children and grandchildren, you can choose Mexico. Mexico is a great place to choose if you want easy access back to the United States. There are also a lot of expats and retirees in Mexico. You can easily import some household goods from the US tax- free. A great city in Mexico that you can choose to retire cheap is Mazatlan. Mazatlan is known for its beaches where many retirees and tourists stay. The weather is also beautiful where it is sunny almost every day in the year. Strategically, Mazatlan is not too far away from the border and not too near the border as well. When choosing a city in Mexico to retire at, it is always advisable to stay away from the cities right next to the US borders due to the incidence of crimes and drug related issues. Mazatlan also offers great health care services through their hospitals situated in the city. Health care in Mexico will cost you a fraction than what you will typically spend in the United States. One good reason to choose Mexico is the fact that you will be able to find a lot of expats and retirees as well. Mexico also has very good tourist spots and the entertainment industry is great too. You can easily buy a home at an affordable rate or you can rent a townhouse at a cheap price. You can also hire a housemaid easily too. Panama is another country that you can add on your list of cheap retirement places outside the US. 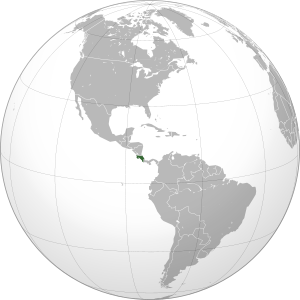 Panama is a country that is not that far from the US. The good thing about Panama is the fact that they are also using the US dollar currency which will be very convenient for you. Even if they have the same currency, prices for basic commodities and services in Panama are very cheap compared to the US. Your money will definitely last longer if you choose to retire there. Panama is actually one of the cheapest countries to retire based on surveys. There are also a lot of expats and retirees living there so you will find yourself around great company. Another great thing about Panama is the people. They are generally friendly and very welcoming. If you choose to live in Panama City, which is its capital, most people speak English. Spanish is their native language but you can easily buy a translation book or get some Spanish classes at a cheap price too. Panama also offers great benefits for US retirees since some of the hospitals there are affiliated with US companies. You also get to enjoy some retiree discounts and a favorable tax treatment too. But for top medical care, you would be advised by the doctors to travel back to the US due to unavailability of technology and resources. Panama is generally quiet and most areas are rural aside from the larger cities. So if you want a cozier environment, then Panama is the place for you. During summer, Panama weather can be very punishing since it will get very hot outside. Most people from the North who are used to snow will not like this but if you are from warmer states like Florida or Texas, you will probably get used to the warm weather easily. Uruguay is also one of the cheap retirement places to consider. Uruguay is in South Africa which borders Argentina and Brazil. One good thing that attracts retirees and expats to Uruguay is the fascinating culture that this country has. There are also a lot of wonderful and lovely attractions that retirees can visit including their famous beaches. There are a lot of great foods in the cities and the people are generally friendly. Your money will definitely stretch in this country since the cost of living is very low. Although there are hospitals in Uruguay that can cater to your health care needs, you will need to fly out to better hospitals in nearby countries if serious and complicated medical issues arise. Uruguay is also a very peaceful and quiet place so this country will not be the best option for the people who likes the bustling city lifestyle. Costa Rica is also a great choice for baby boomer retirees. The country has a very good economy where retirement income and real estate profits are known to be untaxed. There are also a lot of wonderful beaches in the country where you can relax and have fun. If you want to be in touch with Mother Nature, Costa Rica also has great jungles. Compared to other Central American countries, Costa Rica is actually one of the most expensive in the area but if you compare the cost of living there and the United States, Costa Rica is still a lot cheaper. Costa Rica is great since it is one of the most peaceful countries in Central America where crime rates are low. These countries are wonderful choices which have their own pros and cons. It is very important to do proper research before putting your money into something. There you have 4 cheap retirement places for a baby boomer like yourself to choose to retire cheaply. Retiring on a budget? Wondering how to make your Social Security or pension stretch as far as possible? Looking to have a decent lifestyle on not much money? Then it’s important for you to know the cheapest states to retire. Here are the 14 states that are the cheapest states to retire because they offer very low costs of living and affordable housing and low taxes. Florida is the most popular state for retirees and one of the reasons is because it is the cheapest place you can retire. In fact, when you retire to Florida you qualify for some perks. There is a property tax exemption of up to $25,000, no state income tax and it is now much cheaper to buy a home than it was just a few years ago. Florida has many inexpensive senior citizen communities that offer another alternative for retirement living. In 2009, the Missouri Economic Research and Information Center ranked Oklahoma as having the lowest cost of living and the fourth-lowest total tax burden in the US. It has affordable housing whether you are buying or renting, as well as a low tax burden. Tulsa, the second largest city in Oklahoma, ranks as one of the cheapest cities in which to live in the US. It is also considered an attractive place to live due to low crime levels, thousands of acres of city parks and trails, good entertainment and sporting venues and a low unemployment rate. Arkansas is a cheap retirement option as the average house price is just $87,000. Arkansas also offers excellent medical service, senior support programs and a low cost of goods. Plus, it is very welcoming to newcomers. The northwest corner of Arkansas has been booming over the past 10 years, mostly due to the fact that Bentonville is the corporate headquarters of Wal-Mart. The three cities in Texas that appeal the most to retirees due to their low cost of living are Brownsville, Ft. Worth and Harlingen. As an example of how affordable living can be in Texas, one of the suburbs of Fort Worth, Benbrook, has an average house price of around $145,000 but is a fantastic area that offers endless recreational opportunities, beautiful scenery and no state income tax. This state is appealing to retirees because of its inexpensive housing, excellent weather and all of its recreational activities. Arizona has many retirement communities and some great small towns such as Brisbee, Tucson and Prescott that offer very affordable costs of living. North Carolina may be the best state of all, as well as a cheapest state, for retirees. It offers a great geographic diversity with both coastal and mountain recreational activities and has some of the best hospitals in the country. Three great towns in North Carolina to consider for retirement are Hendersonville, Asheville, and Wilmington. Tennessee has no sales tax, abundant land and inexpensive housing. It also has the cultural opportunities you would expect to find in its larger cities – Nashville and Memphis. Tennessee as well as the spaciousness and appeal of its rural areas. One of the best cities in America to retire is Paris, Tennessee. The cost of housing in Pennsylvania can be 30% below the national average so a retiree can buy housing much cheaper than in many other states. Pennsylvania has numerous airports that make it easy to get in and out for travel to visit friends and relatives. Philadelphia and Pittsburgh offer many cultural opportunities and Pittsburgh is rated as one of the cheapest places to retire in America. Plus, Pennsylvania does not tax retirement income. Colorado is renowned for the beauty of its mountains, rivers and lakes, and wide-open spaces that make it a great place to retire. It has smaller communities with a low cost of living that are near large cities such as Denver and Colorado Springs with their cultural activities for retirees. In fact, Aurora, Salida and Fort Collins, Colorado are on almost everyone’s lists of best, affordable small towns for retirees. This sleepy, Midwestern state offers a nice relaxed lifestyle that many retirees will find attractive, especially those who are coming from a fast-paced lifestyle. Iowa’s capital, Des Moines is listed as one of the most affordable cities to retire. It is the home of more insurance companies than any other city in America so it also offers opportunities for part-time jobs for retirees or even full time jobs if you want to continue working after retirement. Here you will find some of the finest beaches and golf courses in the nation. What happened to housing in the US also happened to housing in South Carolina so home prices for have fallen considerably – making it great for retirees. Another plus is that South Carolina’s weather is very pleasant 12 months of the year. Now you have a better idea of the cheapest states to retire in America. You can check hotel and flight prices to see if you can make a trip to a few locations you are thinking about to see how well you might fit in one of these cheap places to retire. When it comes to the 10 cheapest places to retire, you can choose to go abroad or to remain here in the US area. Naturally, you will find places in Central and South America that are cheap places to retire versus big metropolitan areas in the US. However, there are places to retire in the US that make our list of the 10 cheapest places to retire. This country used to be in the news because of political issues but has stabilized and become one of the most beautiful and safest countries in Latin America. It has a very stable, democratically elected government that welcomes retirees from the United States. Its capital is Managua, which is fast becoming a first-class setting. It offers many fine restaurants, malls and shops and entertainment centers. Life in Nicaragua is very inexpensive and it has very flexible laws for imports and exports of goods such as vehicles. This country is another great choice for retirees due to its beautiful weather, lovely people and pristine beaches. It also offers many outdoor activities. The people are welcoming and, if you can handle it, life can be exciting. It is a large country–the fifth largest in the world–though you won’t see much of it because it is rain forest. Brazil offers wonderful weather. It can become very humid but the temperatures are generally comfortable all year round. In the winter, you usually will not even need a coat to go outdoors. Retire to this country and you will find yourself in the middle of beautiful, timelessly classic countryside. You will also be able to enjoy an excellent climate and unique Italian housing options. The Italian people are quite friendly and welcoming especially if you choose to embrace the Italian way of life. You will also like the prices in Italy. There are some areas that tend to be expensive but the majority of the country has housing that is priced much lower than the rest of Europe as well as the US. And if you enjoy culture and the arts, spending your retirement years in Italy would be a fabulous idea. Or if you would like to continue working, jobs and Italy are readily available. You can spend as much as $2 million for a superior home in Rome but in the northern part of the country you can purchase a home for around $95,000. Spain is a good choice for retirement if you want to live in a country that has all of the modern touches but plenty of culture. Spain is very modern with all of the latest technological and medical advantages. Its weather is one of the major reasons to retire to Spain because the seasons do change but you will enjoy most of them. In fact, you can sit in your garden all year round and enjoy a cup of Spanish coffee, as the weather is enjoyable almost all the time. If you’re interested in a brand-new experience and an exciting adventure, Thailand has much to offer you. It has amazing people, a beautiful landscape and many cultural opportunities to explore. The culture in Thailand is unique and much different then we Westerners are used to. The climate in Thailand is good especially if you’re tired of North American winners. It is a very safe country–with one of the lowest crime rates in the world. If you want to continue working, there are jobs available for visitors. Or you can just relax with activities such as scuba diving and golf. Buying a home or condominium in Thailand is very straightforward and housing is much cheaper than what you would find in the US. The cost of living in Argentina is much cheaper than here in the US, which is why, many Americans have chosen to retire there. Its culture is full of charm, as one would expect from a Latin American country. The Argentine climate is wonderful, especially if you like sun and sand. Real estate in Argentina is much more affordable than in many developed countries such as the United States. And since much of the country is still rural, you can buy a larger portion of land then you would be able to in the US. When a person thinks of places to retire, they may not think of a town in Montana. But in this case, you need to think again. Missoula with the University of Montana and a metro population of 103,000, along with affordable housing and good health care, could be a great place to retire. It has very little violent crime and is certainly the cultural capital of Montana. Missoula is the state’s most progressive city and is the home of East Coast transplants, Russian and Tibetan immigrants and other international students. The median list price of a home in Missoula is an affordable $227,900. Its population is 66,788 – making it an easy place to meet people and to get around in. This town, which is 145 miles from Denver and 100 miles from Colorado Springs, is kind of an unknown quantity to many people living in the Denver Metro area. However, for those in the know, is a great place to visit and live. It is bordered on all sides by the snow-capped Rocky Mountains and in the winter is a ski lover’s paradise. The area in which Salida sits is the home of more 14,000-foot peaks than any other county in Colorado. This makes for great outdoor activities in the summer–hiking, biking and camping–as well as skiing in the winter. Salida’s population is 5,348 and its median home value is 185,500–making it a very affordable place to buy property. According to the World Almanac Book of Records, Yuma, Arizona has more sunny days than any other place on earth. This, of course, is why thousands of “snowbirds” flock to the area every winter. However, many retirees have chosen to move to Yuma and stay there year ‘round. You will definitely need air conditioning to weather the summers in Yuma but this warm weather comes with a positive – locally-grown vegetables and fruits that are to die for and at very affordable prices. Yuma also has a number of part-time and seasonal jobs for folks who want to augment their social security or pensions. Its population is 84,187 and the median home value is $197,400. So there you have some ideas of the 10 cheapest places to retire in the world. One option for a cheap country to retire to that many Americans don’t necessarily think of is Ecuador. However, they really should as there is a lot to recommend it. Not only is it inexpensive to live there, with a couple being able to live in a rented apartment with a full time maid for less than $1,000 a month, but it has a great climate as well. As Ecuador is located on the equator, the climate is very nice. You can live down by the beach at the lower altitudes and have mainly 80 degree days, or you can live in Quito up in the mountains and have 60 degree days. There is a fair amount of rain for about four months of the year, but this is usually in the afternoons. The altitude will take some getting used to as well. This is a very bio-diverse country, so nature lovers will really enjoy their time here. Those who like a more cosmopolitan big city environment will definitely want to be in Quito. The infrastructure in the country works well, and, best of all for people that don’t want to be constantly thinking of exchange rates, they use the dollar as their currency. In Quito there is public transportation, shopping, restaurants, and museums to keep you occupied. They are also very welcoming of Americans. You will have to pay a fee of $350 for the visa, however. If you are in one of the larger cities you will have access to well equipped hospitals that have qualified doctors, many of whom have trained in the United States. Health care is even less expensive than in Mexico. You also don’t have to worry about not having the luxuries you’ve been used to. You can get U.S. cable stations for less per month than you pay back home. The economy and the government are stable in Ecuador, and the level of crime is said to be less than that in the United States, which is great when it comes to a cheap country to retire to. You know you are likely to be safe, and you don’t have to worry much about investments you might make in property and belongings. There are also a fair number of people who speak English.